NBC's Lester Holt and former NFL running back Deuce McAllister explore kinematics on the playing field. NSF-funded scientists Tony Schmitz from the University of Florida and John Ziegert of Clemson University explain how the kinematic concepts of position, velocity and acceleration can be used to define how a running back moves. 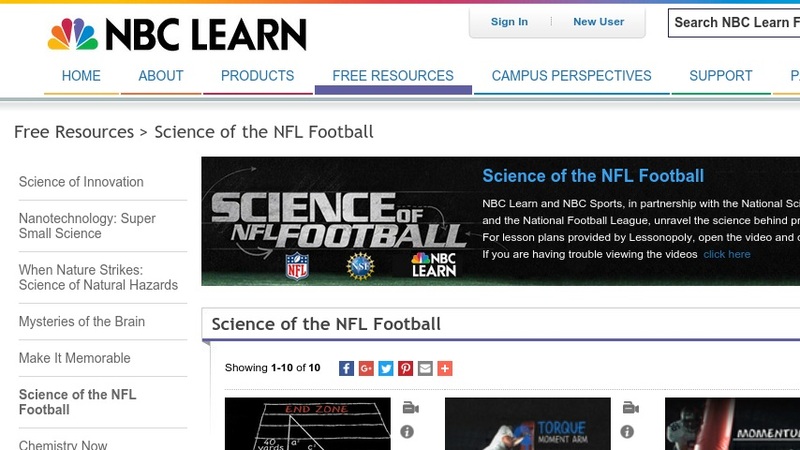 "Science of NFL Football" is a 10-part video series funded by the National Science Foundation and produced in partnership with the National Football League.